Sydney Shop Girl: Rain Delayed Big Yum Cha. New Shanghai, Ashfield. 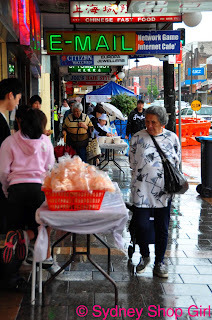 Rain Delayed Big Yum Cha. 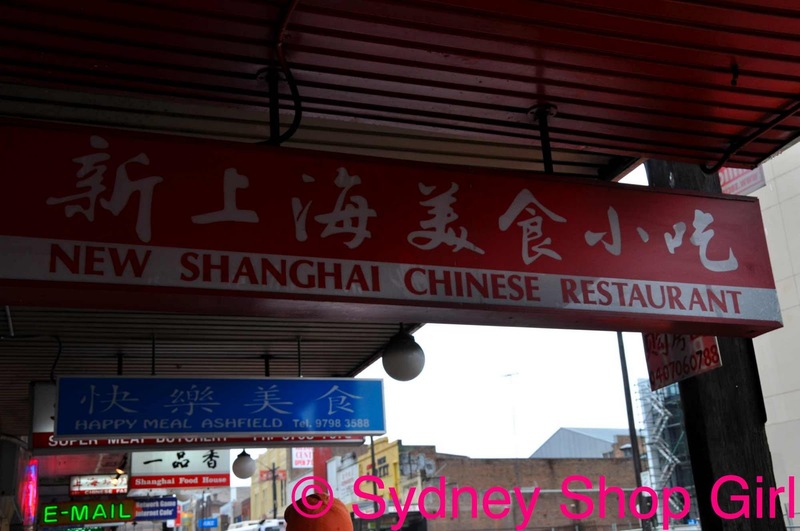 New Shanghai, Ashfield. The skies of Sydney really turned on their water faucets today. 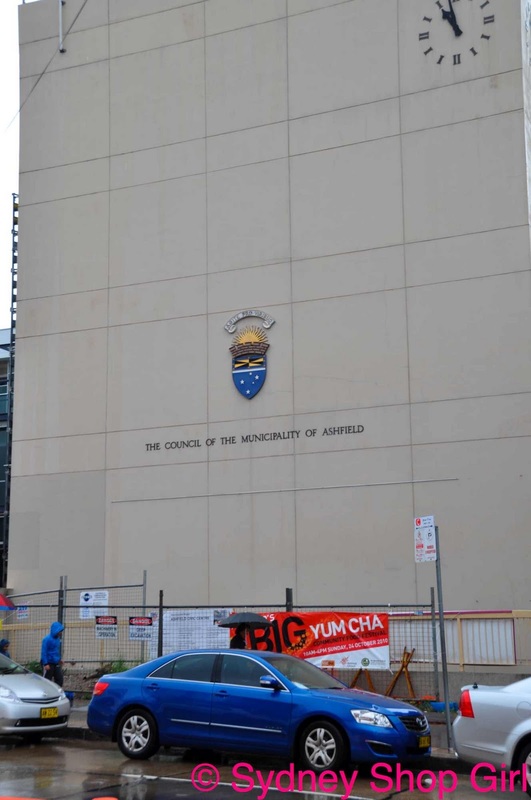 Which was highly unfortunate timing for the Big Yum Cha at Ashfield that was scheduled to start at 10 this morning. Big Yum Cha is one of the community events that was planned as part of this month's Sydney International Food Festival. Its aim is to celebrate the mix of Chinese, Korean, Vietnamese and Indian cultures that are just some of the culinary and social influence in Ashfield. Work and travel seem to have eaten up most of my weekends this October but I was determined to attend at least one SIFF event this year and Big Yum Cha is was to be. The intrepid Mr SSG and I made our way to Ashfield under grey skies to a soundtrack of steady rain pelting the windscreen and triple J (the perfect road trip radio station as far as I am concerned). We found shelter at Ashfield Mall Shopping Centre and went forth armed with golf umbrellas, waterproof hiking shoes and my red backpack. 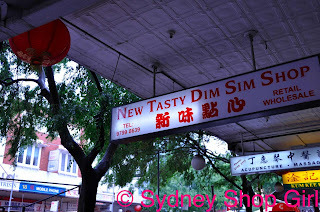 Our first stop was New Tasty Dim Sim on Hercules Street. There is a poster on the front window offering two sets of prices for each item - wholesale (40 pieces) and retail (6 pieces). 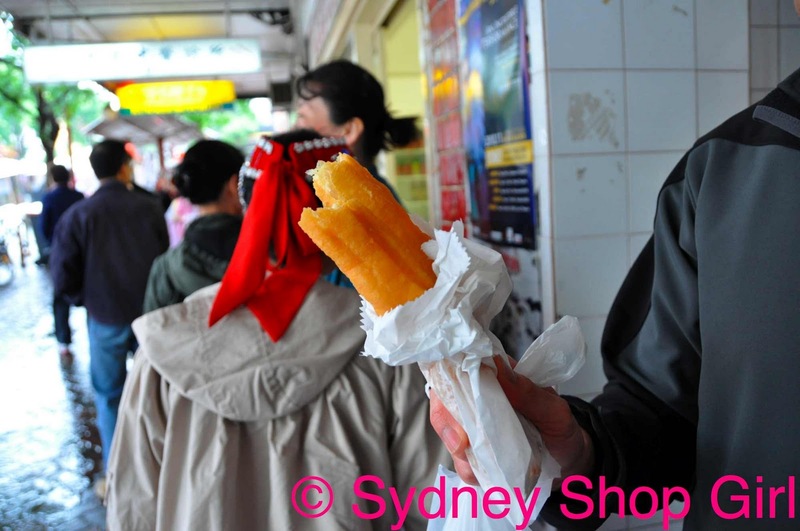 We joined the assembled crowd of guides and performers for the festival as they purchased late breakfast from the store. As we waited (and ate), the grey skies refused to break for bluer hues. The rain just got heavier. The trestle tables and awnings remained empty. Except for a lone fire for warmth and light. 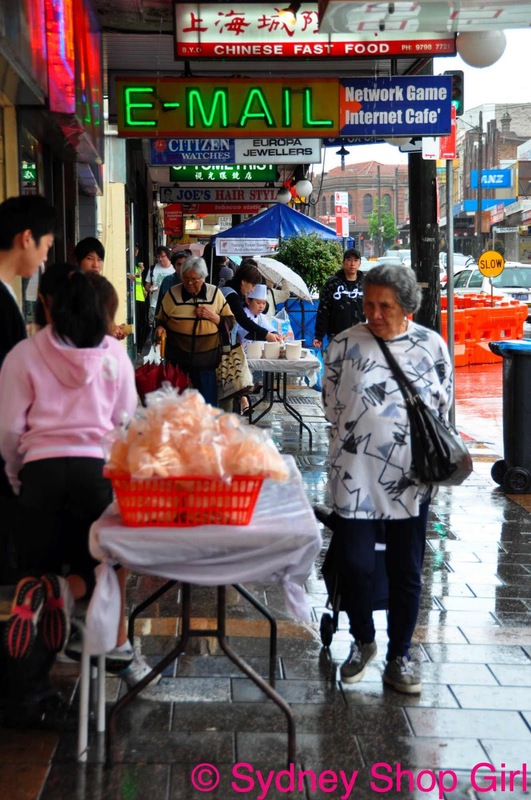 Word got out that the start of Big Yum Cha was being postponed due to the weather. Not to worry, there was plenty to look at and explore on that short stretch of Liverpool Road. An aquarium mural on the wall of the seafood supplier. The 'mother ship' New Shanghai dumpling house appeared in front of us as we skipped over puddles and dodged drops of rain. You'll be relieved to know that Happy Meal Ashfield (blue sign) do not serve hamburgers with a side fries and a plastic toy. Big Yum Cha would just have to move indoors and feature dumplings. 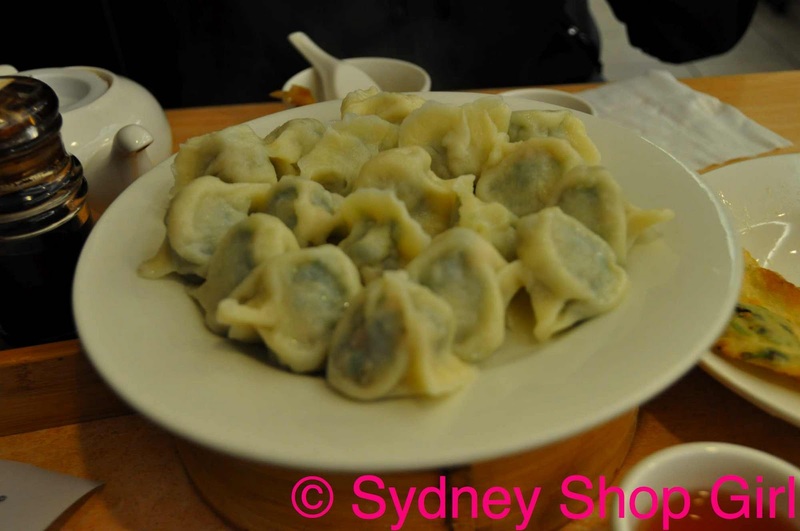 New Shanghai Ashfield isn't as glamorous as the Chatswood Chase restaurant but believe me, the dumplings are just as good if not better. We managed to beat the Sunday yum cha crowd so our food arrived quickly. 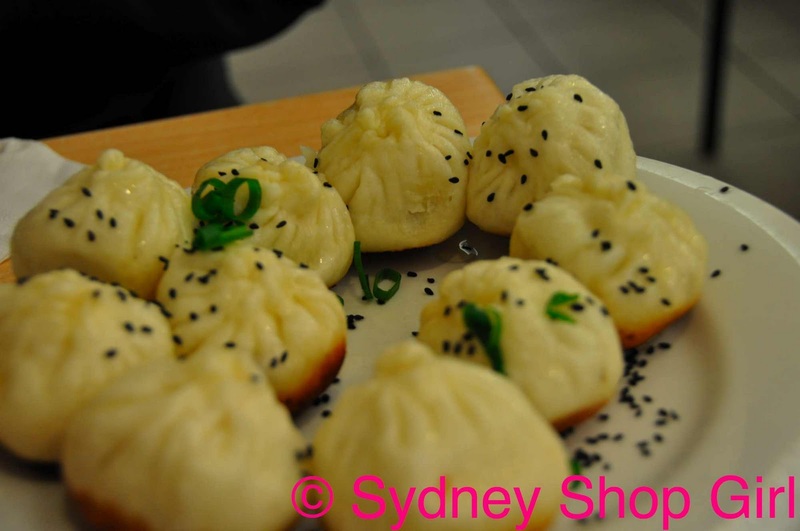 An old favourite - xiao long bao. This time, I did remember to puncture the dumplings before eating. It really was less messy this way. We emerged from dumpling heaven and found the start of Big Yum Cha. 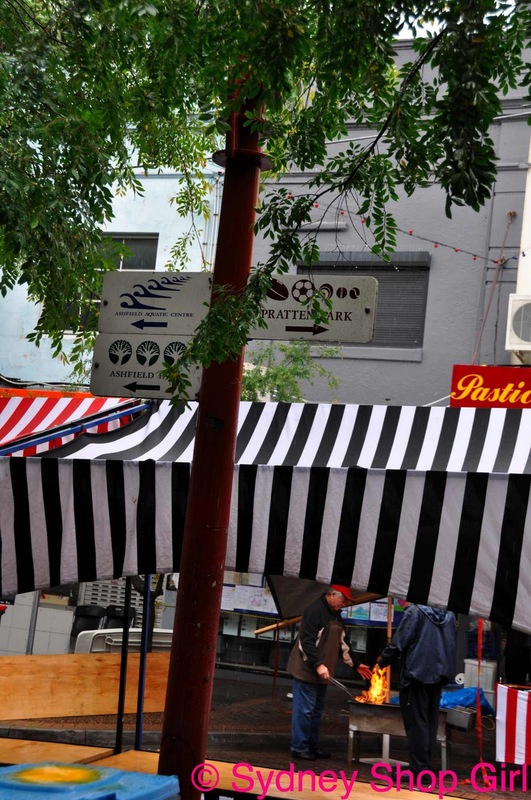 Stalls were erected on the sidewalk at the front of existing restaurants. In case you were wondering, we did order too much at New Shanghai. We left the restaurant with 2 takeaway containers full of dumplings. It's been a crazy weekend of weather in Sydney, I bet a fair percentage of you in Sydney are indoors in track pants and possibly socks in ugg boots. The only reminder of sun and summer for me is on a clothes drier in the spare bedroom. I have found that white jeans are a high maintenance item of clothing. My pair survived one day of wear before needing an overnight soak in Napi San. As white denim seems to miraculously pick up stains from everything, I've decided to dry them indoors. 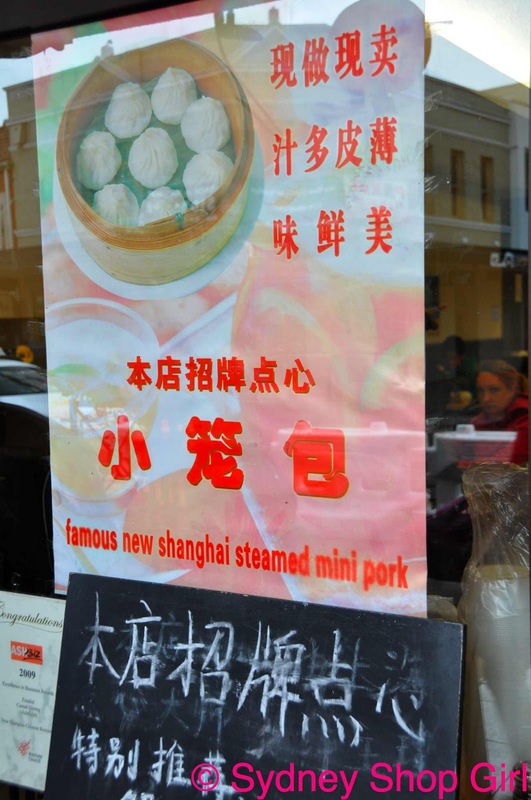 Oooh - pan fried pork buns are my favourite at New Shanghai! I had some yesterday - along with the xiao long bao and the stir fried bean sprouts (which were actually snow pea sprouts but still delicious). 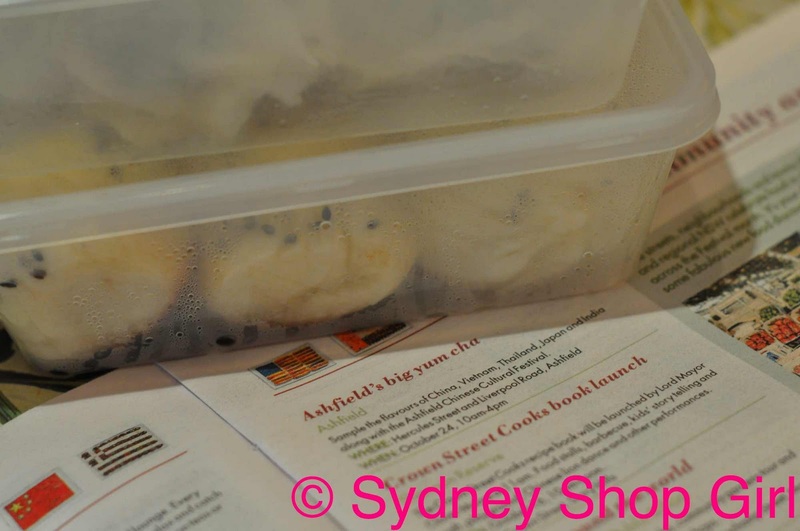 Sad that they had to postpone the event but I'm glad you got your yum cha, even if it was inside! 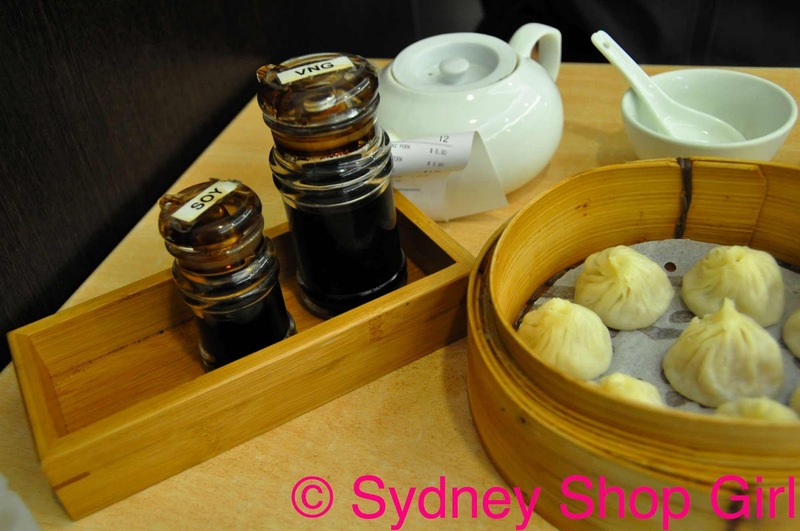 I love Yum Cha. I don't have it enough. I need a Yum Cha buddy. White clothes are difficult creatures. Good luck with your jeans. OMG! How did I not know about this event? 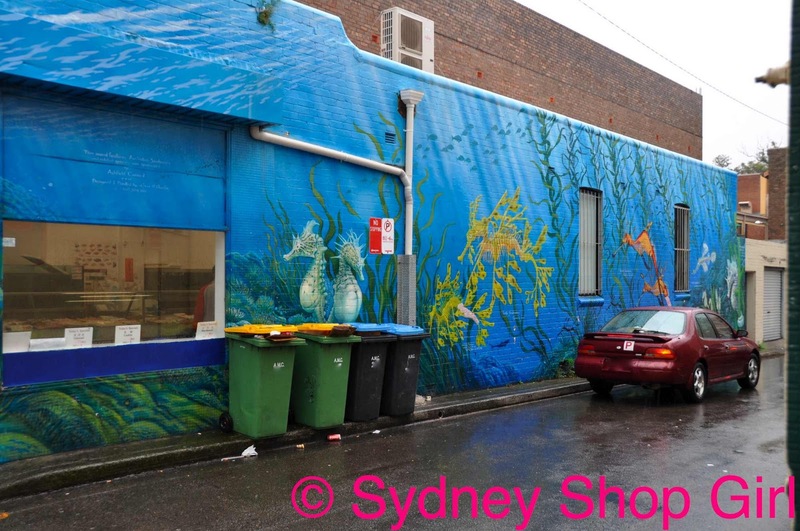 This sounds like so much fun - despite the rain. 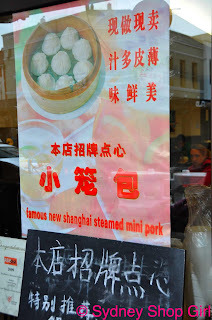 I love those little dumplings with the soup inside...mmm. Carly: we need to go the next time we're in the same city. I am a yum cha dessert fiend. Melba Toast: I only found out about it in the SMH supplement about the festival. Did you get to anything festival related yourself? Britta: you are right. 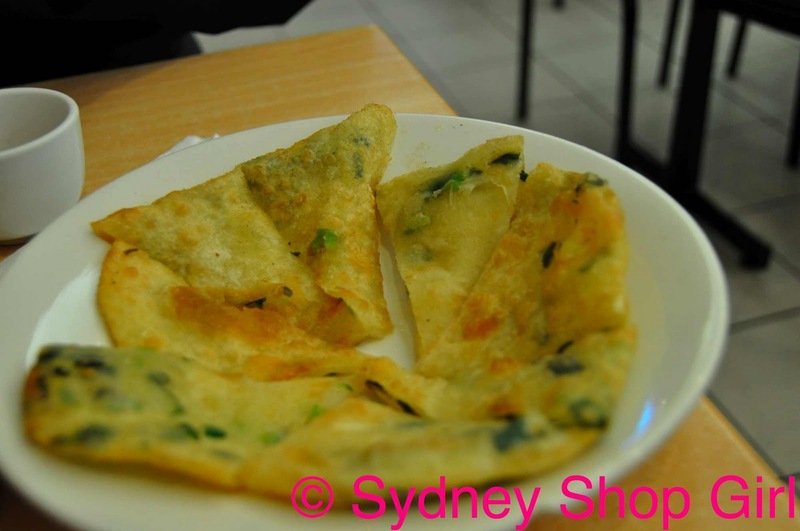 Food is one of the best ways to learn about different cultures. Love your blog by the way ....have a nice day from Oslo! Hi SSG. I went along to the Crave street event in Parramatta which was on a few weekends ago. It wasn't too bad...a few foodie stalls, but mostly aimed at closing off the main street so people could wander up & down and decide where to eat lunch. I do wish there were more street food stalls to pick & choose from. I seem to be having white jean issues too. They are magnetic to my children's dirty hands and the dog's dirty paws. Thank heaven for napisan.